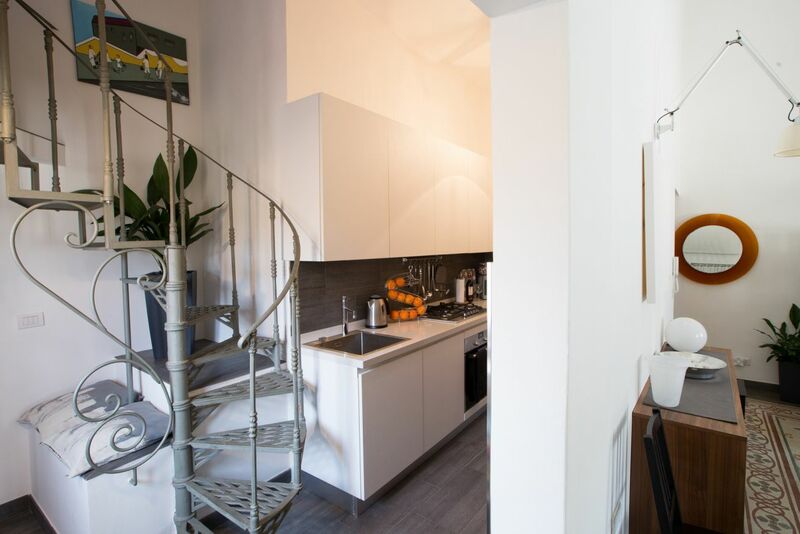 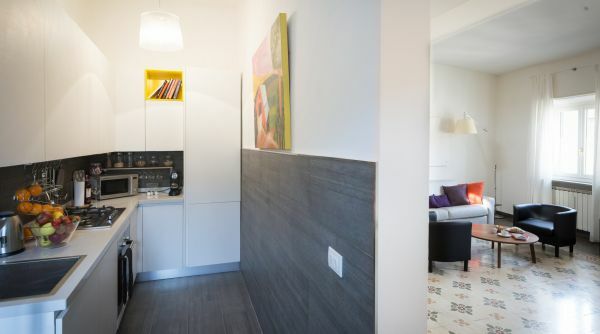 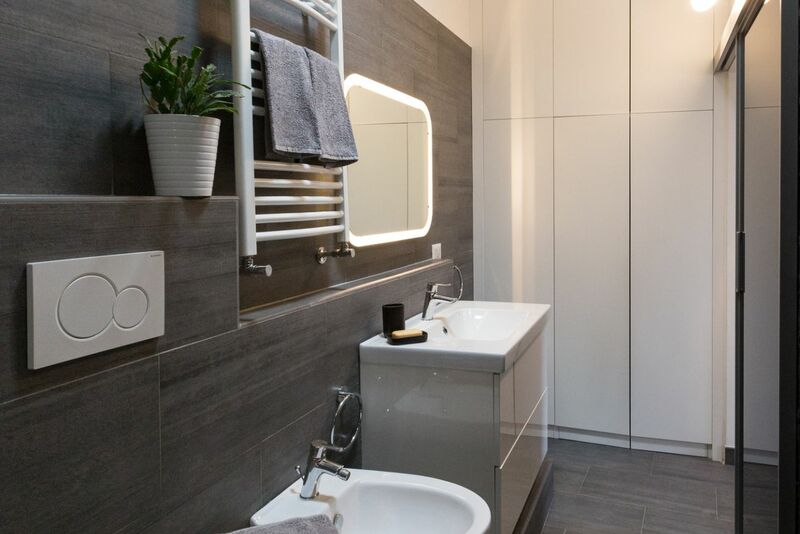 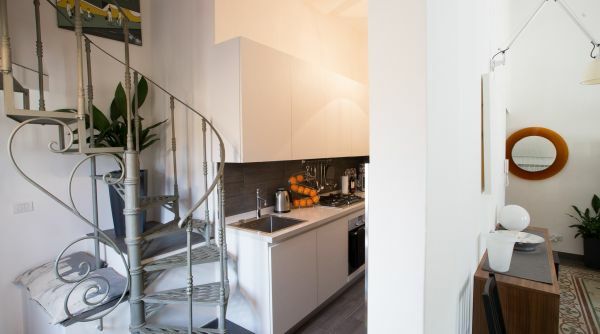 This completely renovated and modern 1-bedroom, 1-bathroom apartment is styled in a homely characteristic manner to provide guests with a comfortable and original atmosphere. 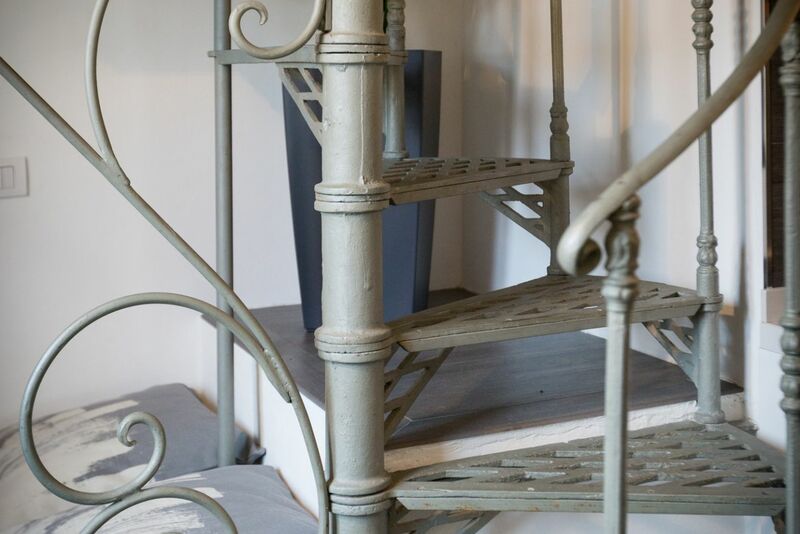 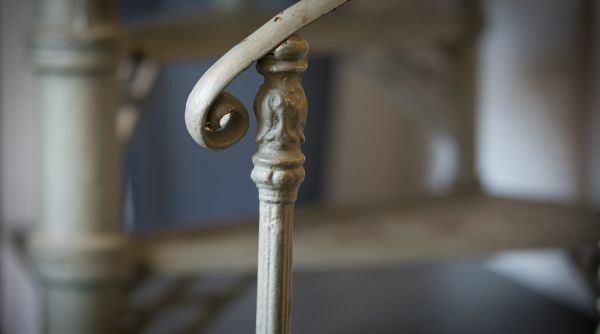 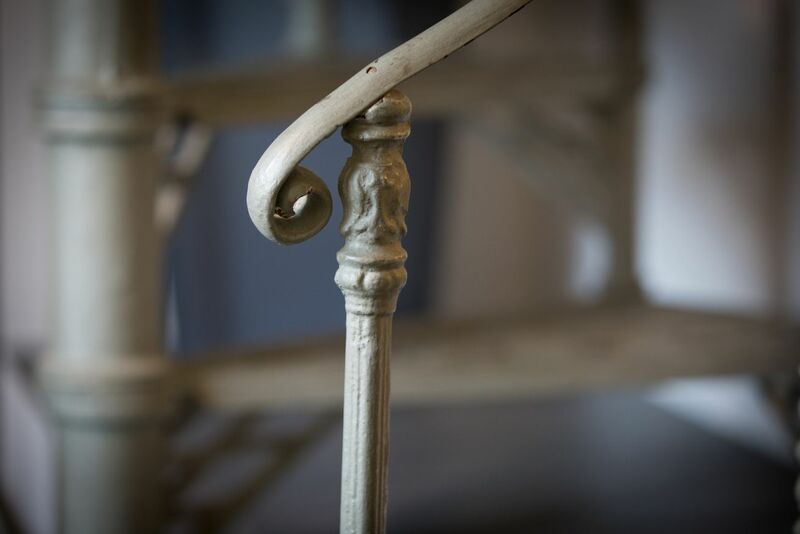 The furniture and the sophisticated pieces of art are carefully selected to create a unique environment of comfort and authenticity. 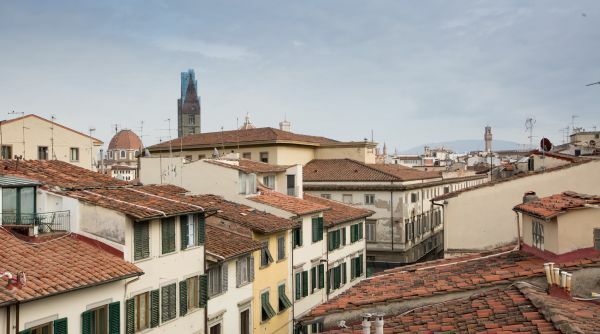 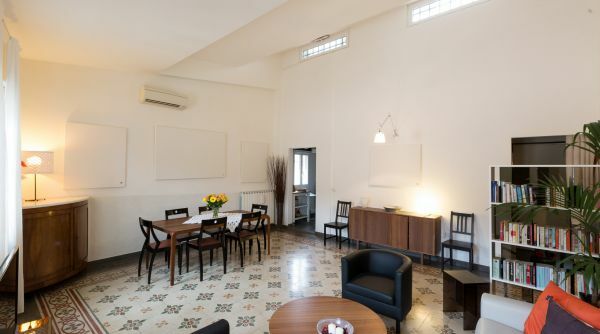 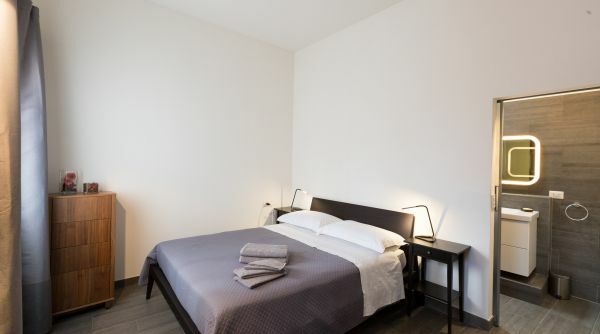 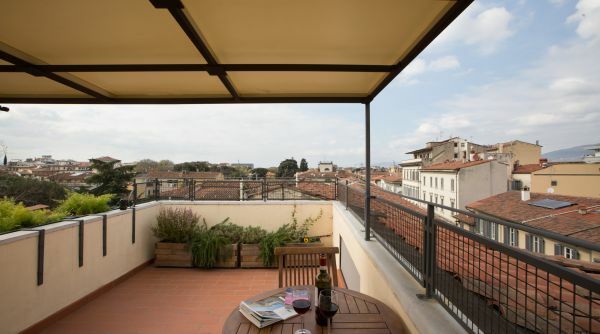 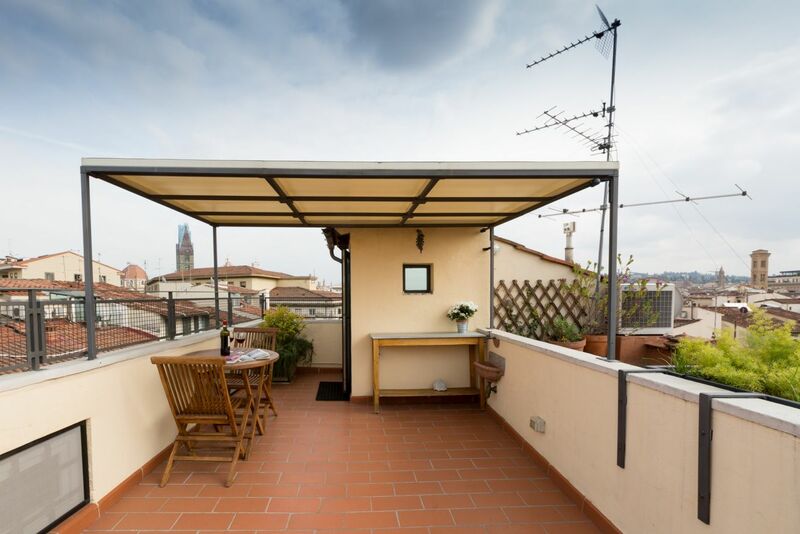 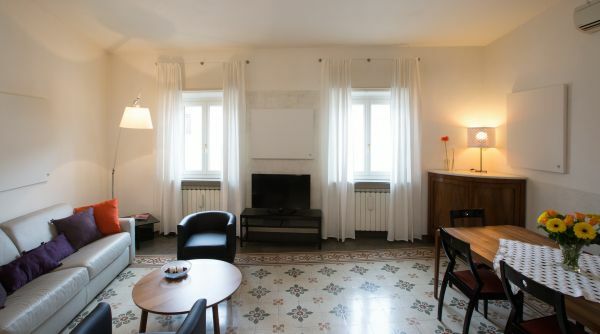 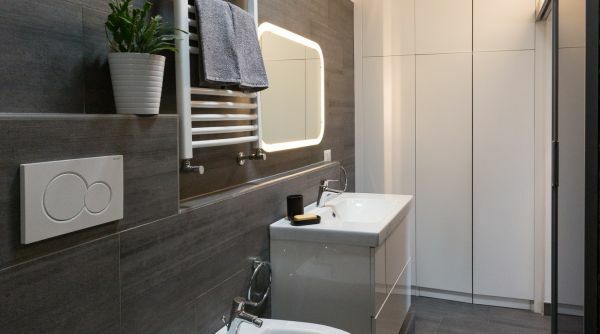 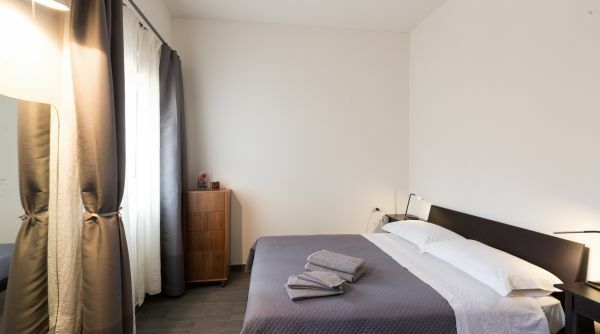 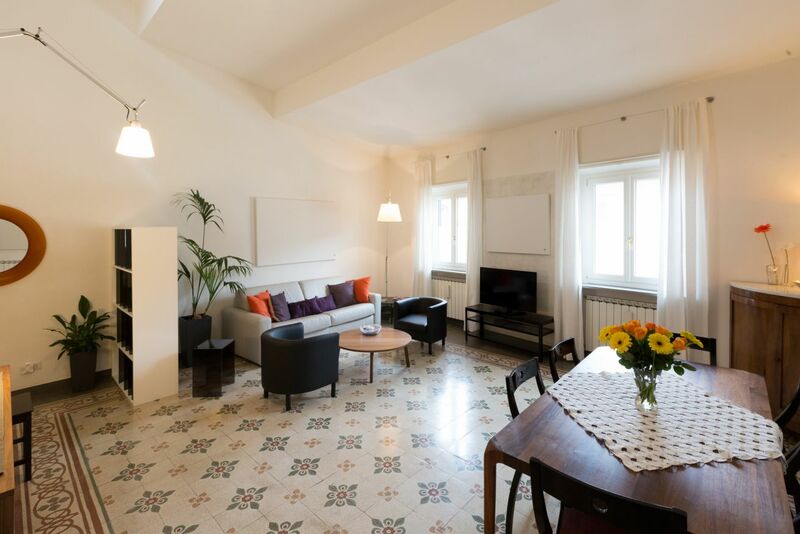 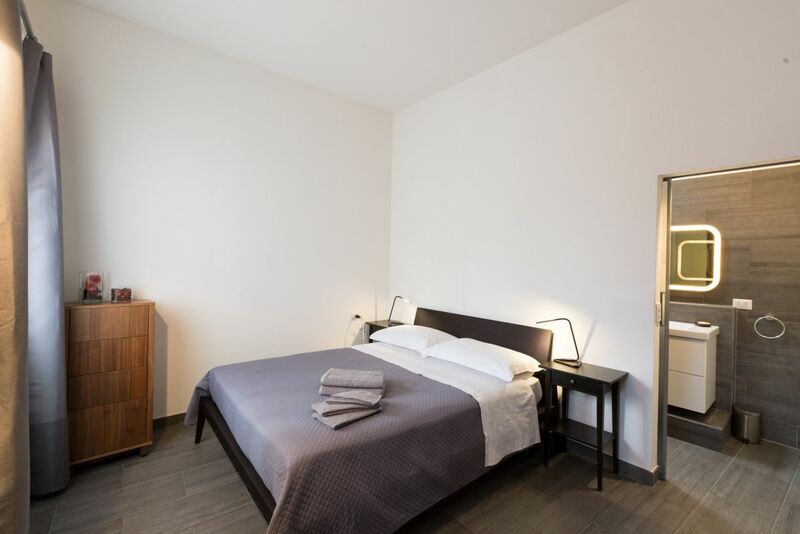 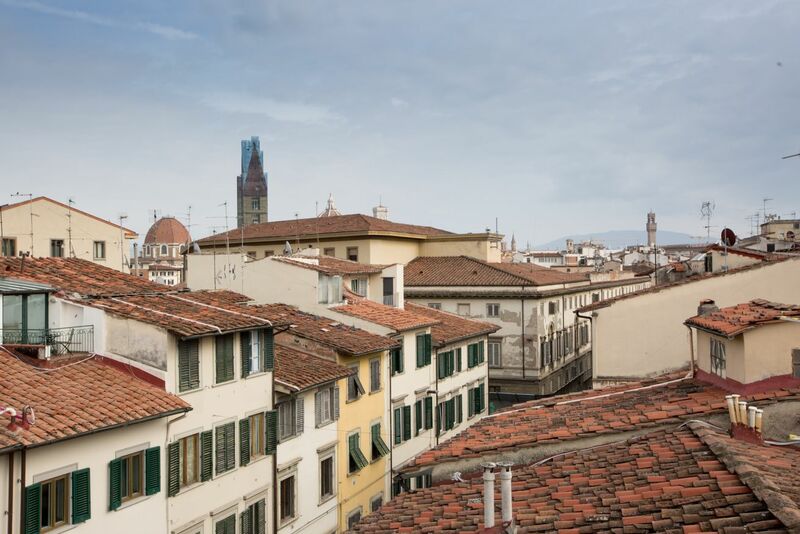 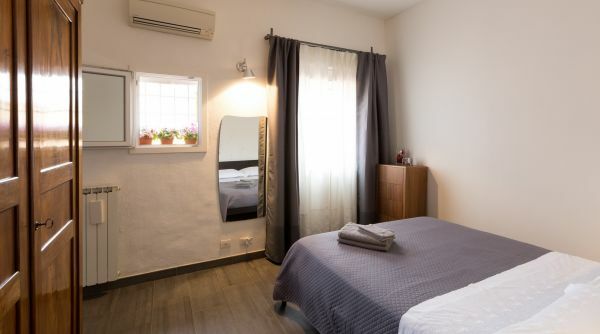 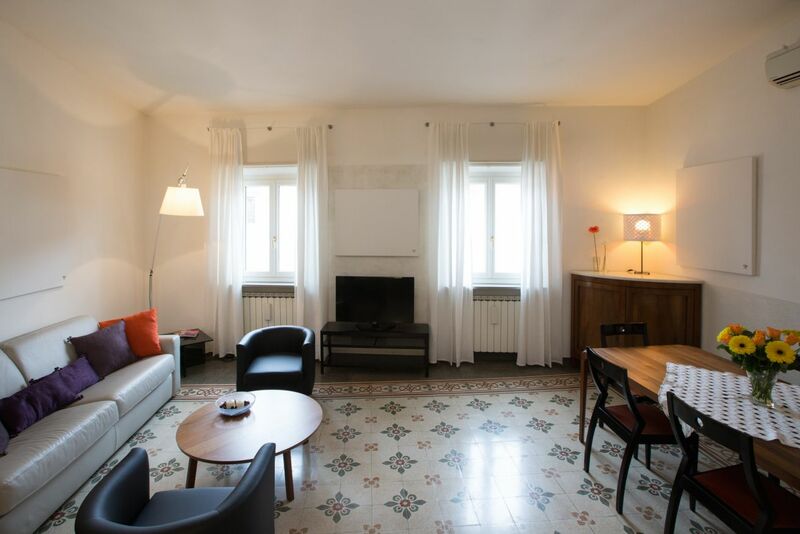 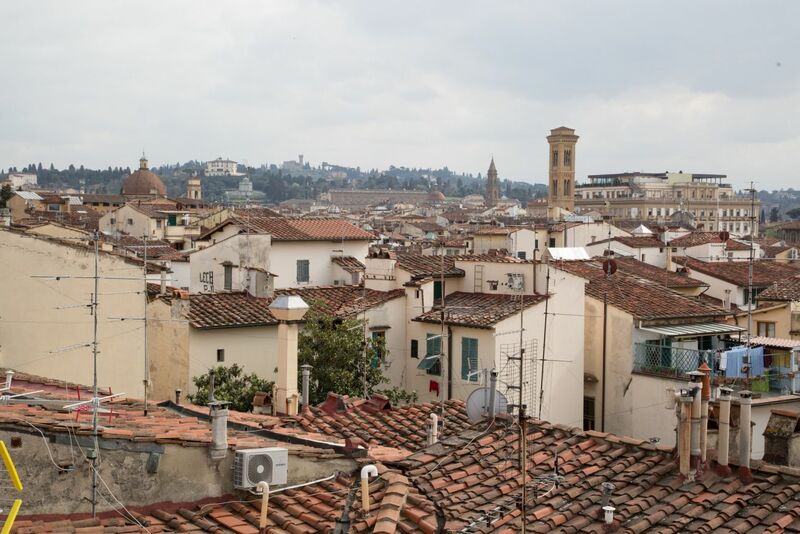 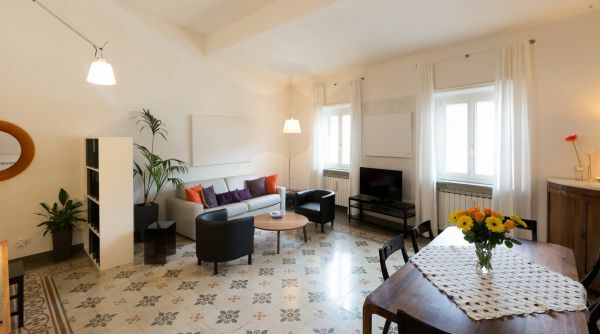 The property is located on a 3rd floor of a nice building right in the centre of Florence – conveniently close to the station and just a short walk away from all the famous and important monuments of the city. 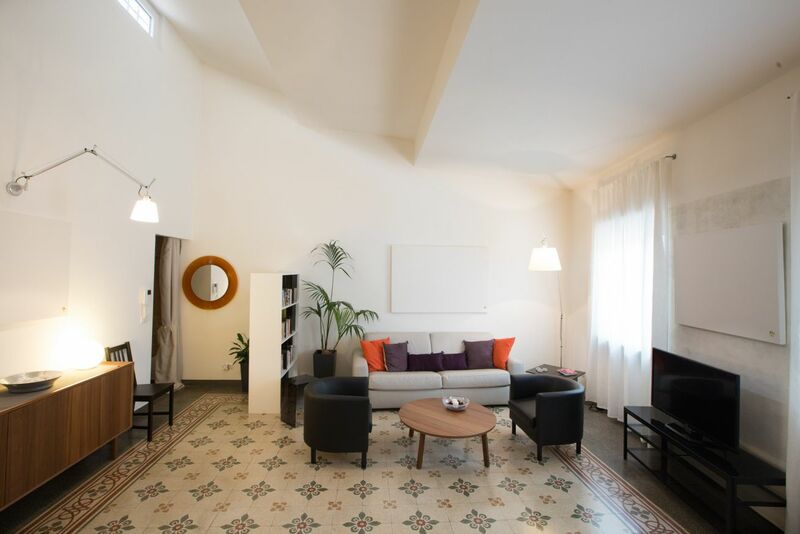 As you walk into the apartment you find yourself in the very spacious living room with particularly high ceilings. 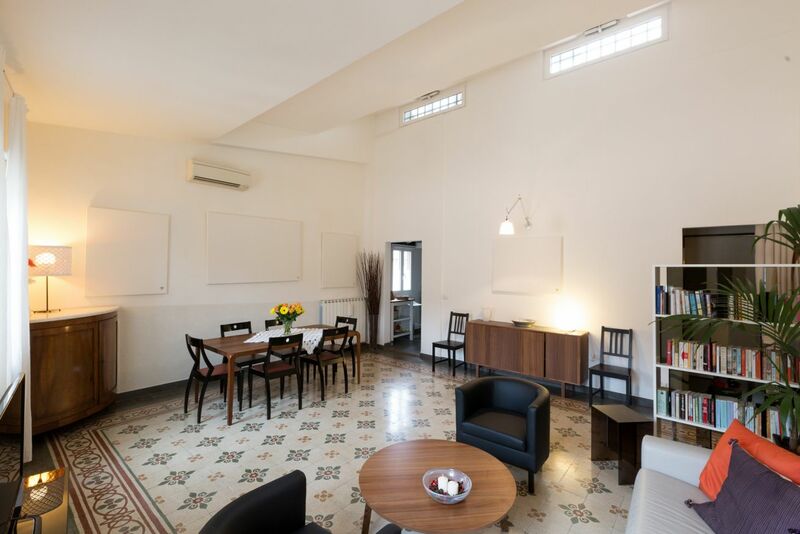 The space is bright due to the natural sunlight coming in from the windows, as well as the various lamps in the space that create a warm relaxing atmosphere. 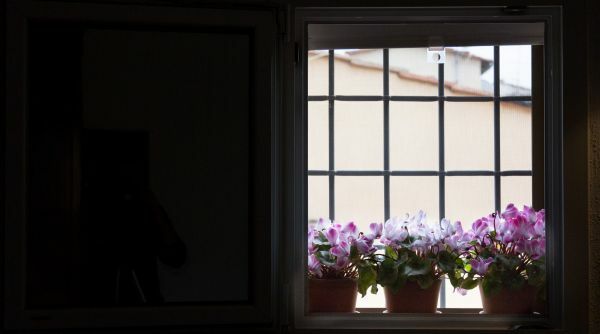 It is also quiet due to the double-pane windows. 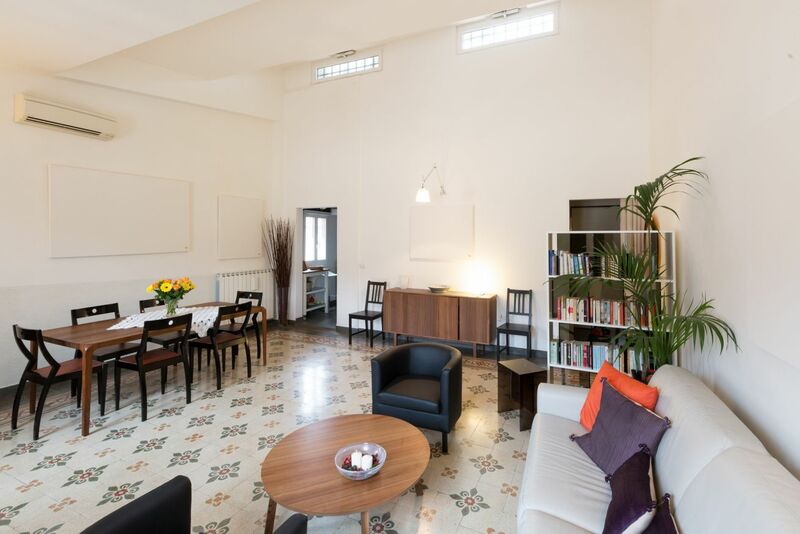 Here you will find a double sofa bed, a library, drawers and a dining room table for six people. 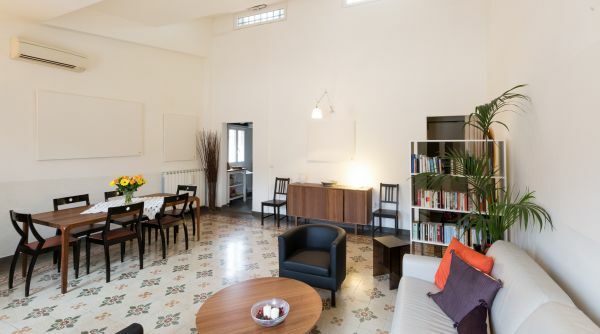 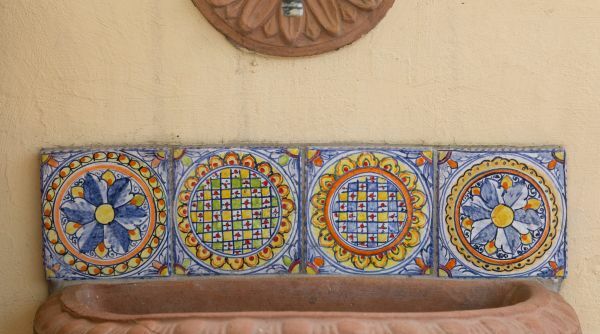 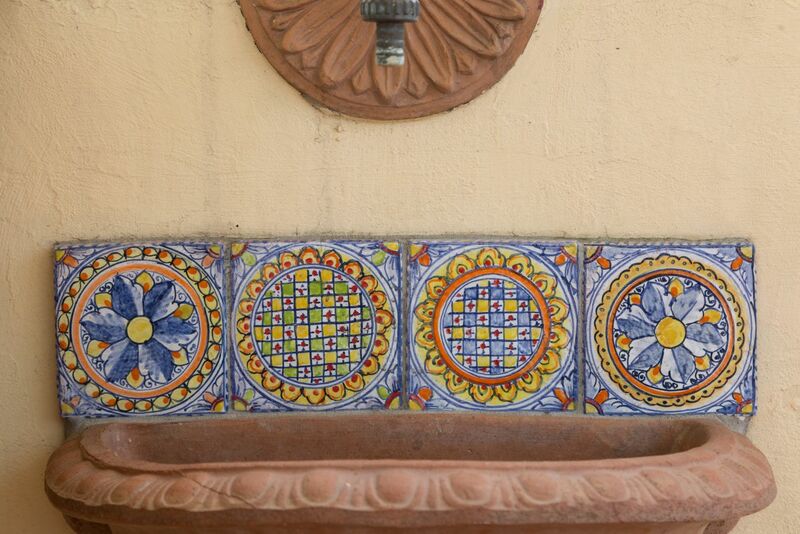 The floor is made of preserved original Tuscan tiles, contributing to an interesting mix between classical and modern. 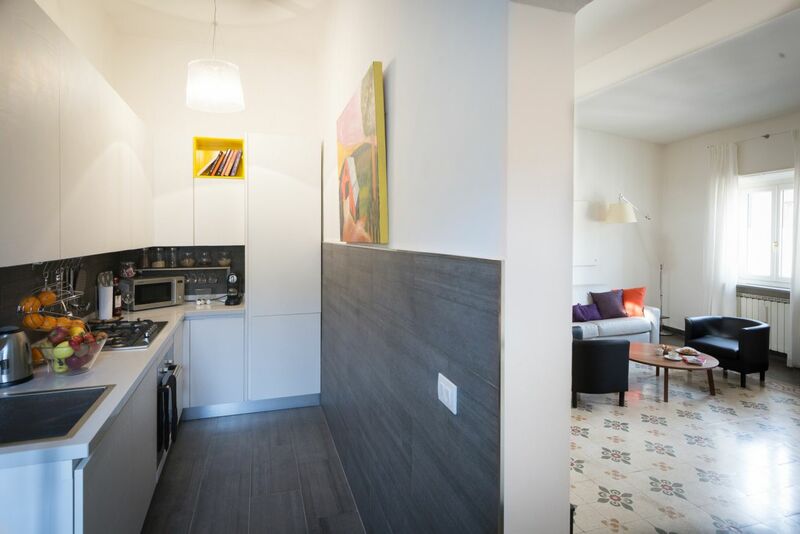 The kitchen is right next to the living room – completely renovated, functional and equipped with all the comforts of a real home. 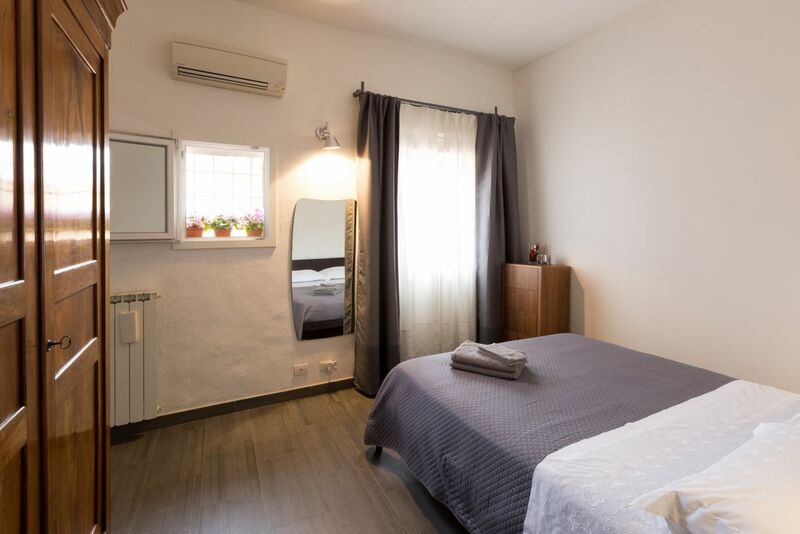 The bedroom has a comfortable double bed and a large closet. 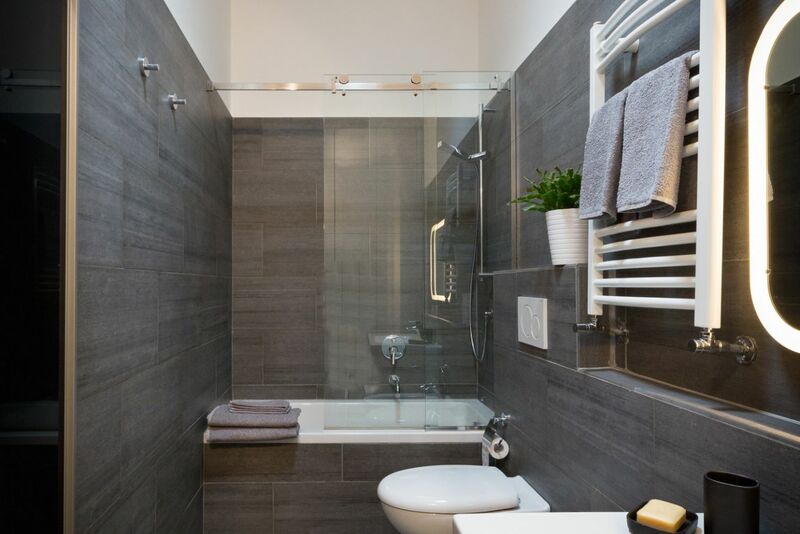 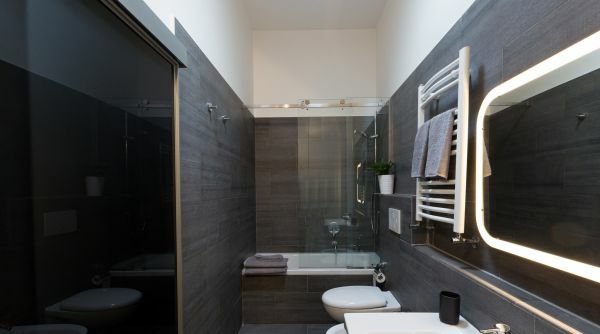 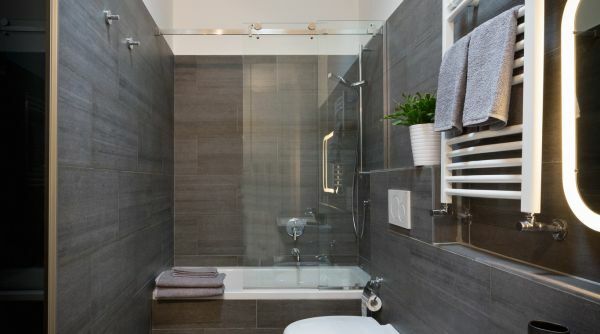 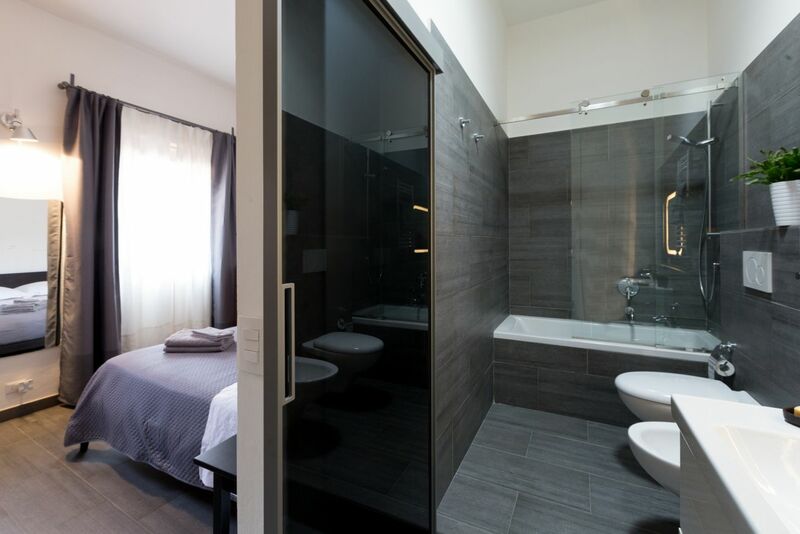 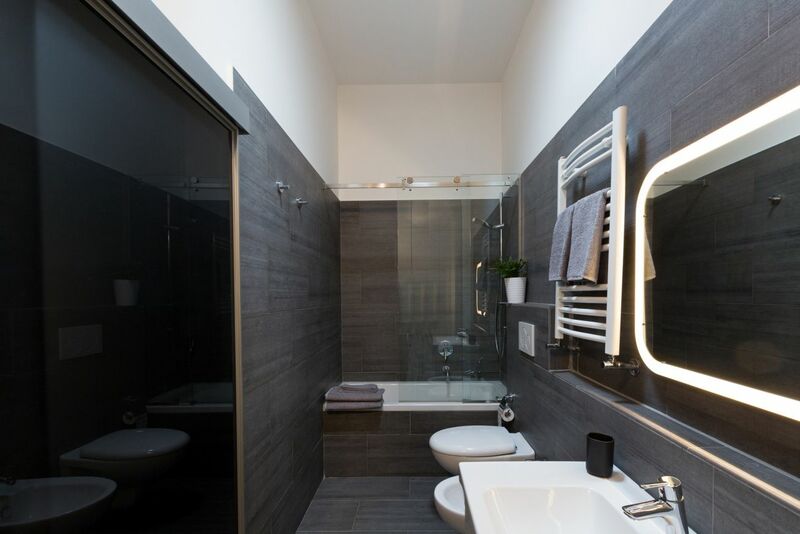 It has a spacious and luxurious en suite bathroom with a glass shower/ bathtub. 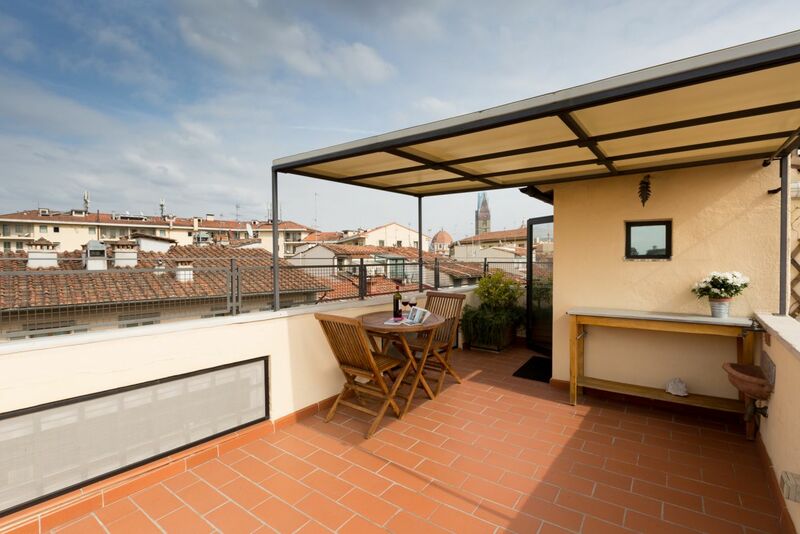 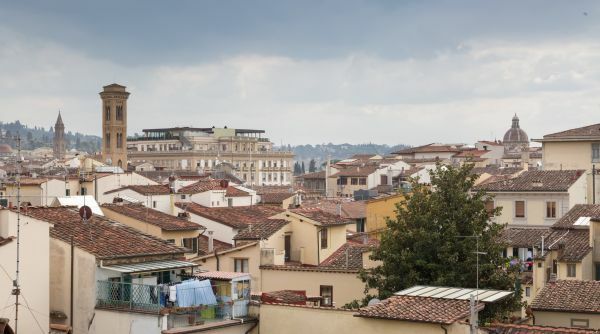 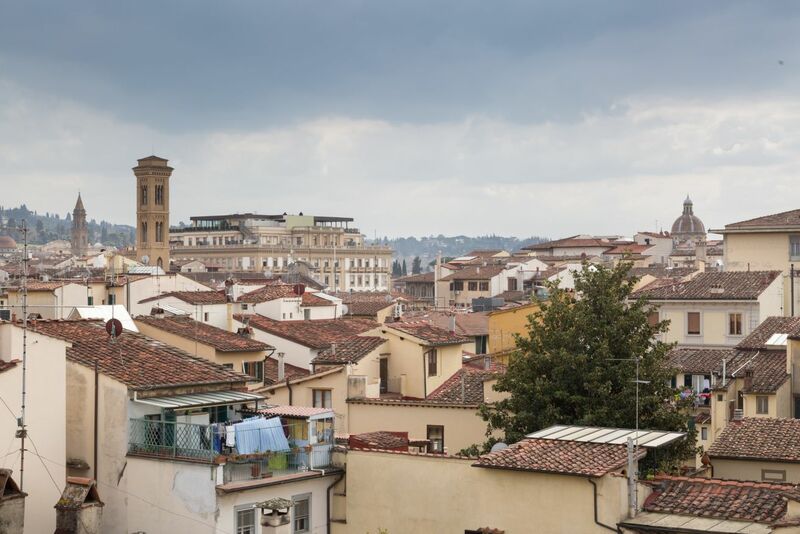 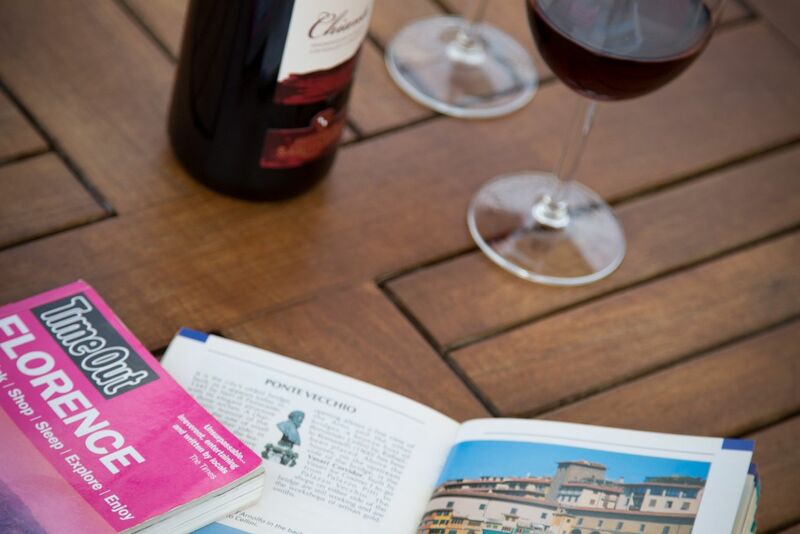 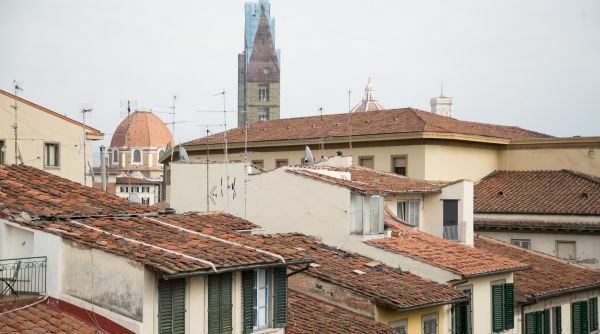 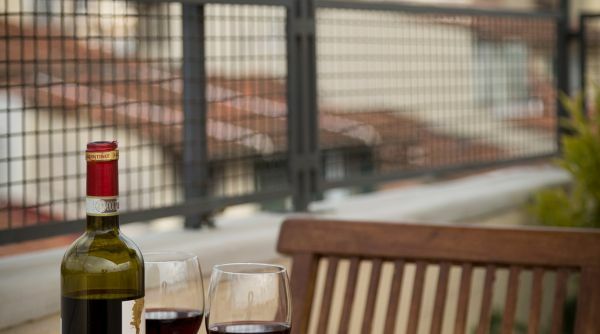 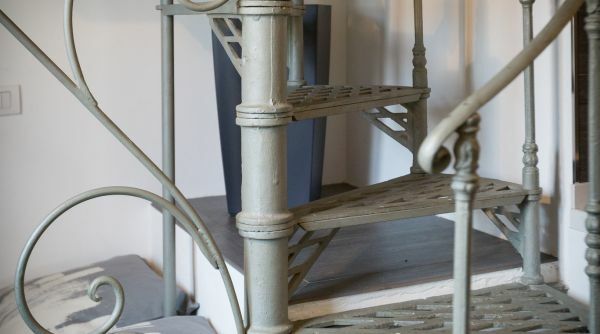 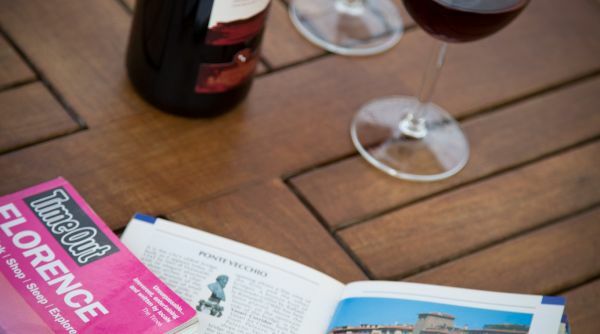 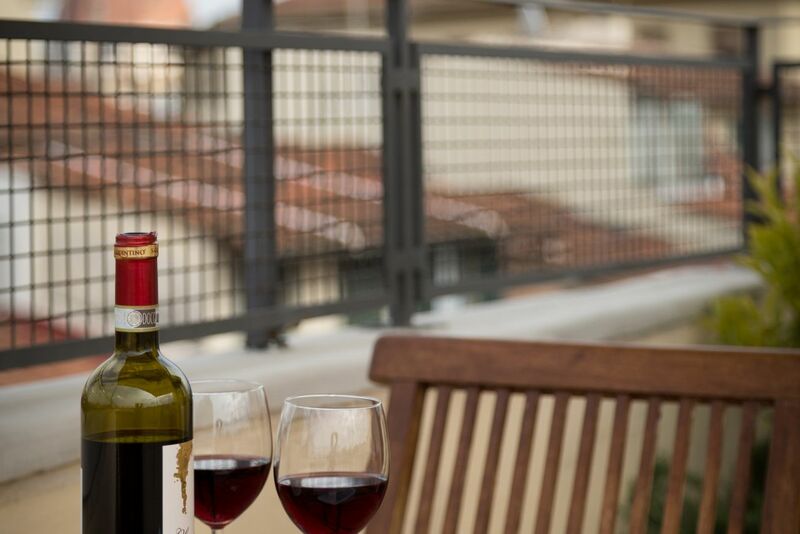 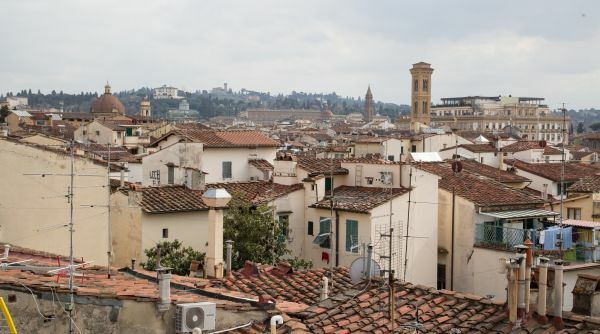 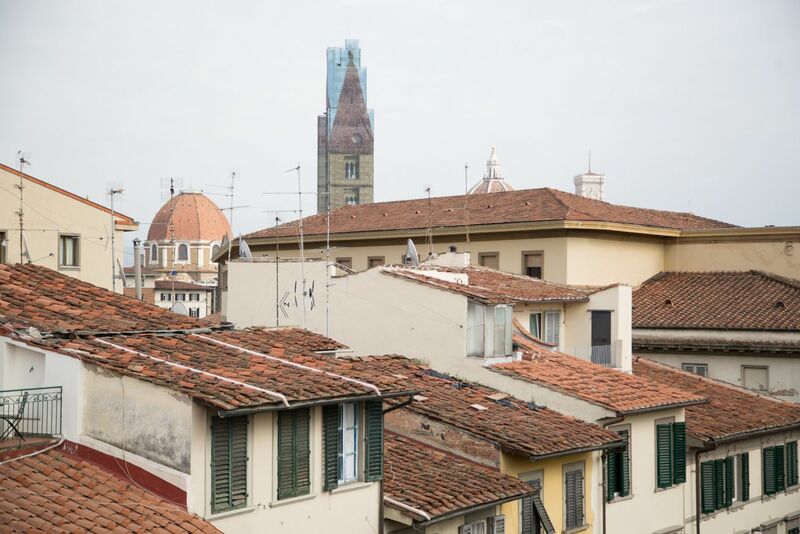 Up a circular staircase that starts in the kitchen you will find the charming panoramic terrace with a table from where you can enjoy an unbeatable view of Florence’s monuments and skyline. 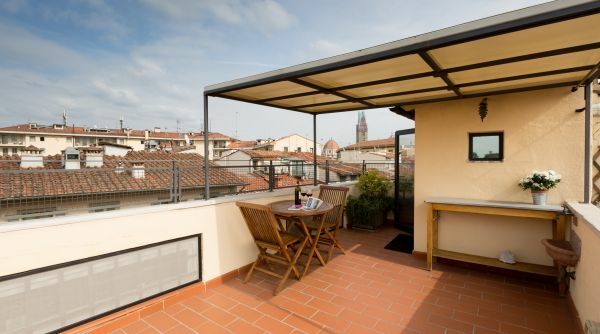 It is an ideal place to enjoy an aperitivo or even a meal away from the chaos of the city, while enjoying its beauty. 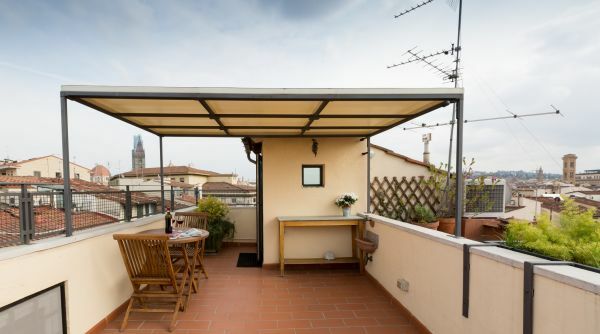 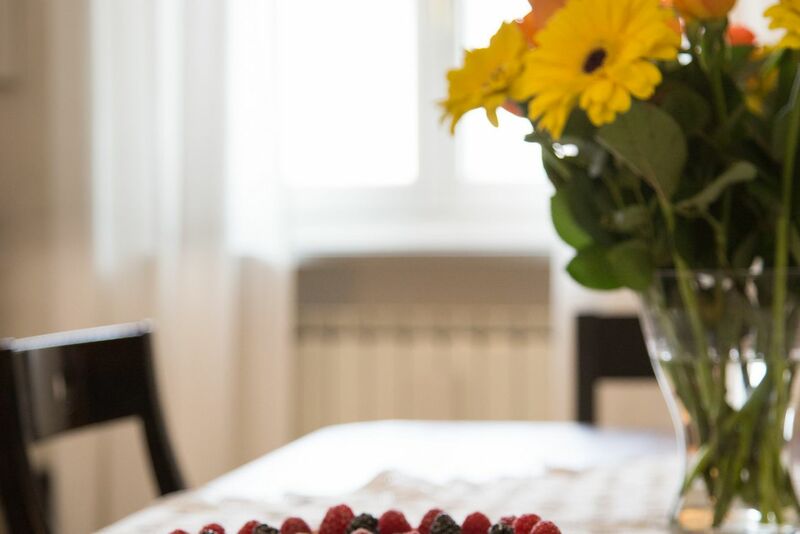 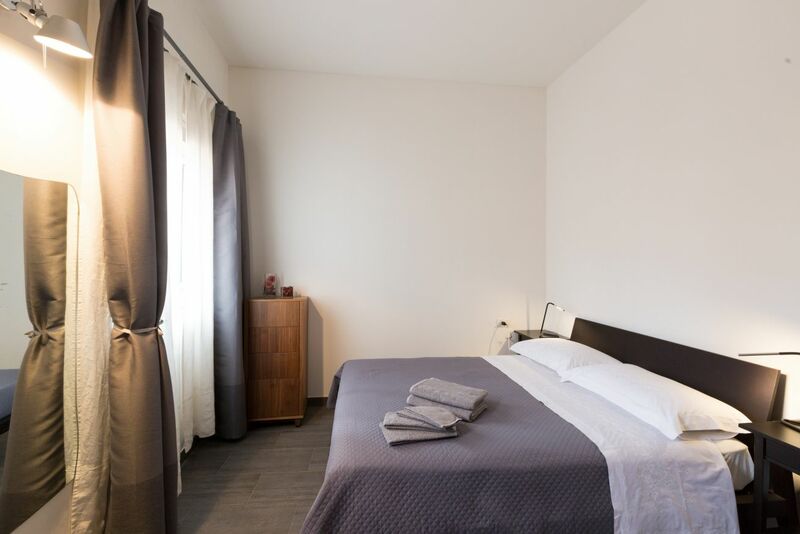 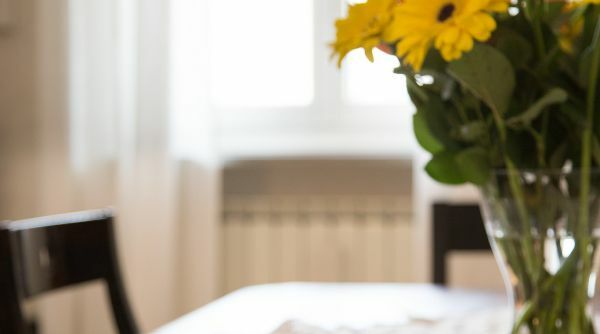 The apartment is an ideal location for a vacation in Florence or a longer term stay as it has a charm that will really make you feel at home! 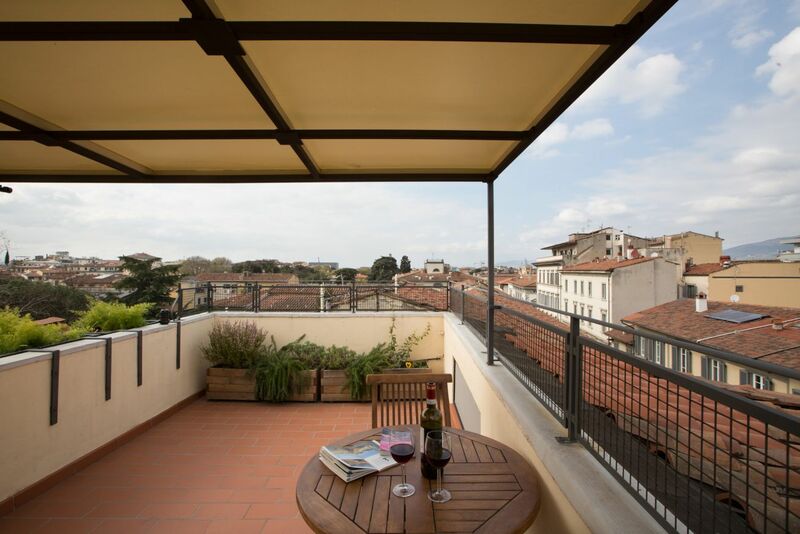 Great view and great apartment in the heart of Santa Maria Novella! 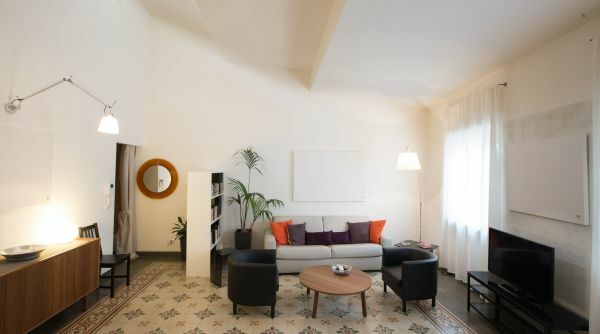 The house is big and confortable and clean. 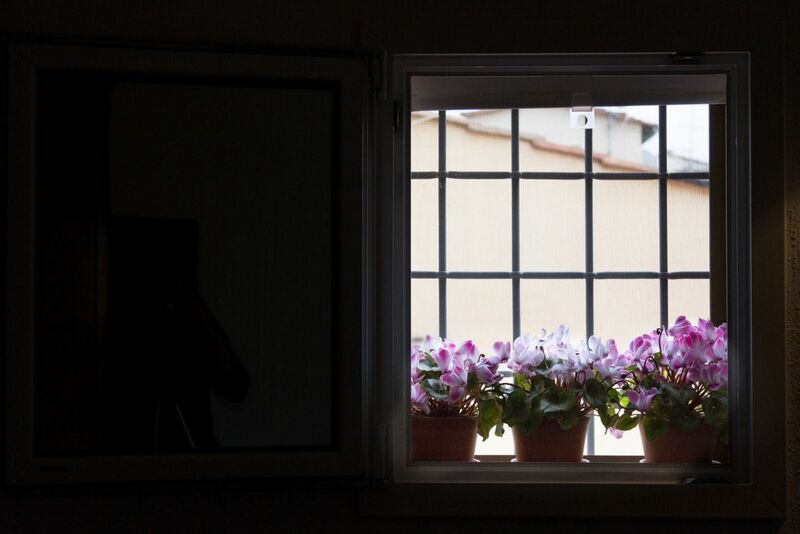 I’ll come back soon.